Mindfulness meditation is not only a control of the flow of one's thoughts and liberation from negative energy. This is also a way that can help you lose those extra pounds and keep them off. Our words are not just some guesses, because many studies show this. 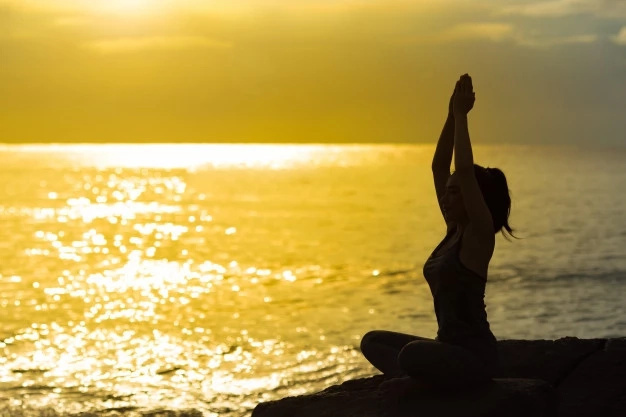 Over the past few months, many studies have been conducted that have shown that meditation has various advantages for both mental and physical health. Mindfulness practices can enhance resilience and focus, help to reduce stress, increase energy, and protect against heart disease, to name but a few reported benefits. 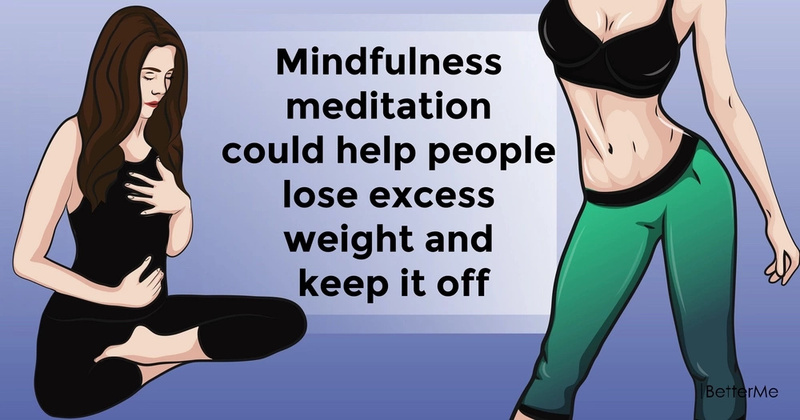 A study conducted by McGill University in Montreal, Canada, showed that mindfulness can help people to lose excess weight and avoid a rebound. Kimberly Carrière, Prof. Bärbel Knäuper, and Bassam Khoury's analysis revealed that mindfulness technique is a good opportunity when it comes to improving long-term dietary practices. The team analyzed 19 studies (totaling 1,160 participants between them) focused on mindfulness and its relevance to weight loss. All these studies were conducted in the past 10 years. Researchers found that mindfulness was “moderately to largely effective in reducing weight loss and improving obesity-related eating behaviors.” Although mindfulness interventions were not as effective in the short-term as regimes based only on dietary changes and exercise, which yielded better immediate outcomes. The researchers noted that participants who practiced some form of mindfulness benefited from more stable long-term results. In the first instance, mindfulness practitioners lost 3.3 percent of body weight, compared to the 4.7 percent weight loss experienced by the participants who only dieted and exercised. However, at follow-up evaluations after several weeks from the interventions, participants who used mindfulness techniques continued to shed excess pounds steadily, bringing their mean weight loss to 3.5 percent. Despite the shortcomings, the researchers declare the findings “encouraging” and are now interested in seeing how mindfulness-based interventions could be effectively added to dedicated weight loss programs to enhance the benefits afforded by these initiatives.